The brief for this 4 bedroom residence was driven by a desire for the highest possible thermal performance. The client was well informed on passive house principles and wanted to create a house that took advantage of the site's north facing rear yard and views from the upper level whilst getting as close to achieving the passive house standard as possible. 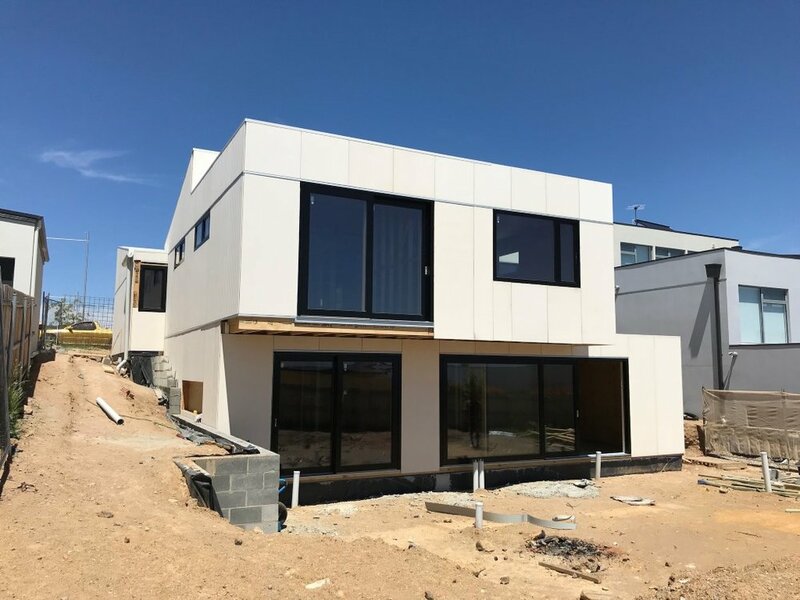 Canberra’s high diurnal temperature variation created a challenge in complying with passive house standards for thermal bridging. Sophisticated thermal modelling was undertaken to resolve construction details specific to the Canberra climate. Canberra’s restrictive planning code heavily influenced the upper level building form, which is stepped to fit within prescribed building envelopes whilst achieving long views to the north over Weston to the hills beyond. The lower level is cut into site to allow the main living areas to better connect to the garden and create a level outdoor space on a steep block. With a built form which is carefully composed into the site, this is a truly site specific passive house. The design features a heat recovery ventilation system that allows the building to perform efficiently. The incorporation of a hydronic cooling and heating and heat pump hot water systems further compliments the efficiency of the passive housing approach. Triple-glazed European windows further reduce the building’s energy consumption, allowing a genuine passive living environment.